Marking the bicentenary of the passage of the act, the contributors combine to provide an authoritative account of the state of the historical debate. Divided in four sections, the book investigates the origins of the act, its actual passage into legislation, the political debate which surrounded the act in Ireland and beyond, and the central role played by religious considerations in its final shaping. 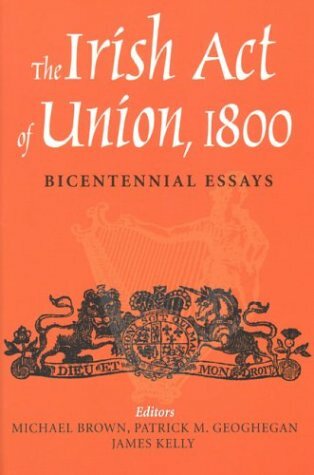 This book provides the results of recent research into the passing of the Union, and supplies the reader with an indispensable starting-point for understanding the significance of the 1801 union of Ireland with Britain. Patrick M. Geoghegan is an expert on the Anglo-Irish relationship in the late-eighteenth and nineteenth centuries, as well as on the competing themes of constitutional nationalism and republicanism between 1782 and 1848.